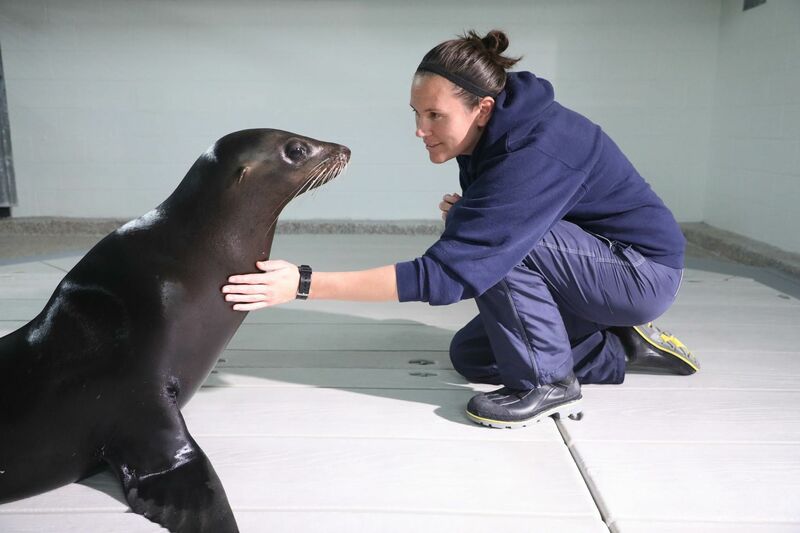 We’ve introduced you to one of our rescued sea lions, Hunter, over the last several months and shared his incredible rescue story that led him to Georgia Aquarium. 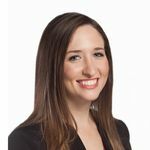 It was discovered that Hunter sustained several injuries in the ocean – propeller wounds, fish hooks in his mouth, and a problem with his left eye. Alongside his preventative and daily care, our animal care and veterinary teams monitored his left eye and its limited vision. On August 31, 2017, Hunter underwent surgery to hopefully help the difficulties in his left eye. 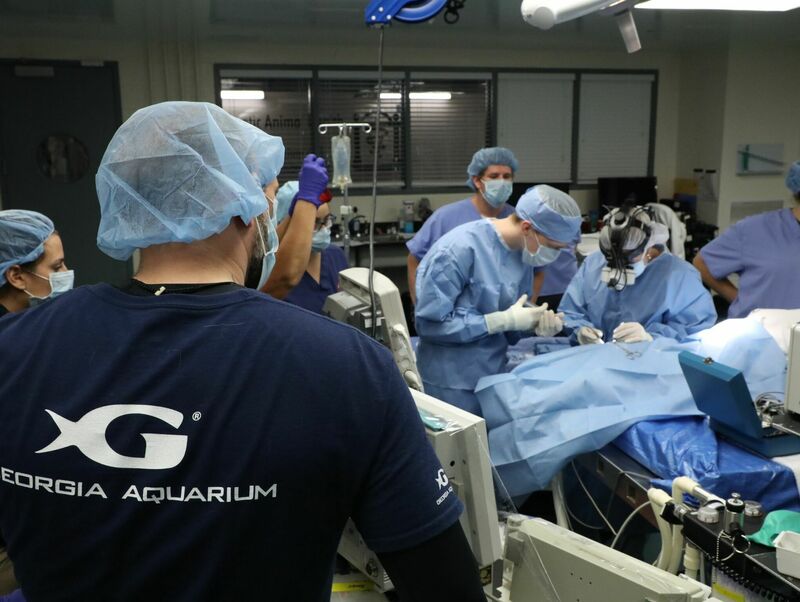 Using the funds raised from last year’s Aqua Vino event, Georgia Aquarium’s veterinary and animal care teams worked alongside a veterinary ophthalmologist who specializes in aquatic animals and a veterinary anesthesiologist to successfully complete the surgery and provide Hunter with the best possible care. 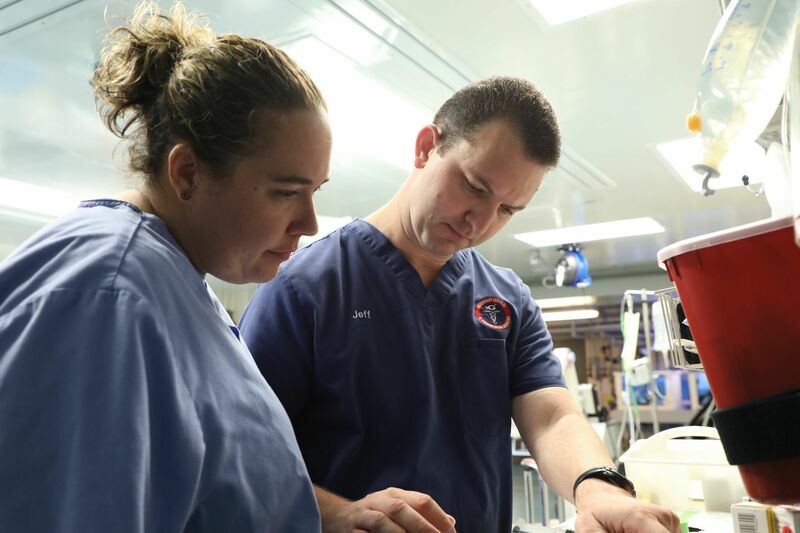 Hunter is out of surgery and recovering with his care teams monitoring him closely and administering post-operative care over the next few weeks. You can read more about Hunter’s background and rescue journey here: news.georgiaaquarium.org/RescuedSeaLion. Follow Georgia Aquarium on Facebook, Twitter, and Instagram to stay up-to-date on Hunter’s progress and how we, and you, are #HelpingHunter. Hunter and animal care team member, Taryn Kellogg, prepare for his surgery by monitoring his eye and applying eye drops throughout the day and night. 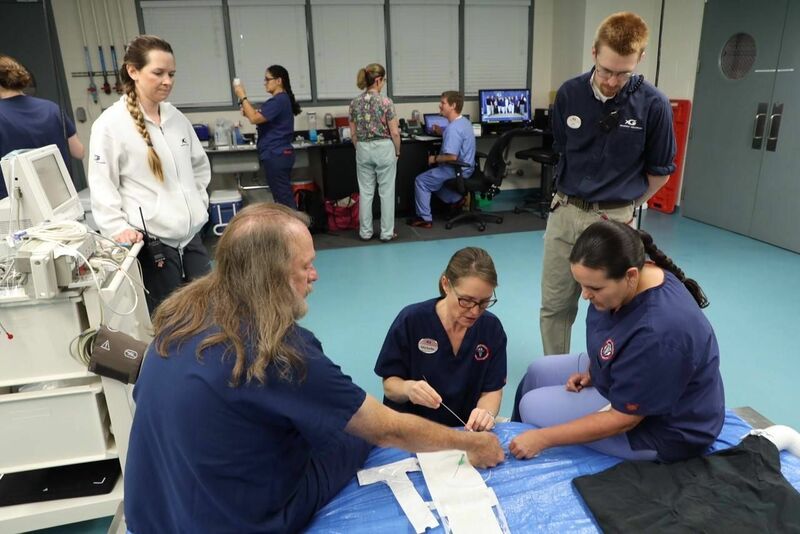 Veterinary technician Gennifer Brookshire and Daniel Cutler observe preparations as Dr. James Bailey, a veterinary anesthesiologist, and Georgia Aquarium veterinarians Dr. Michelle Davis and Dr. Tonya Clauss review procedures. Georgia Aquarium veterinary technicians, Kristen Jetzke and Jeff Ingle prepare equipment in the Correll Center for Aquatic Animal Health at Georgia Aquarium the morning of Hunter’s specialized eye surgery. 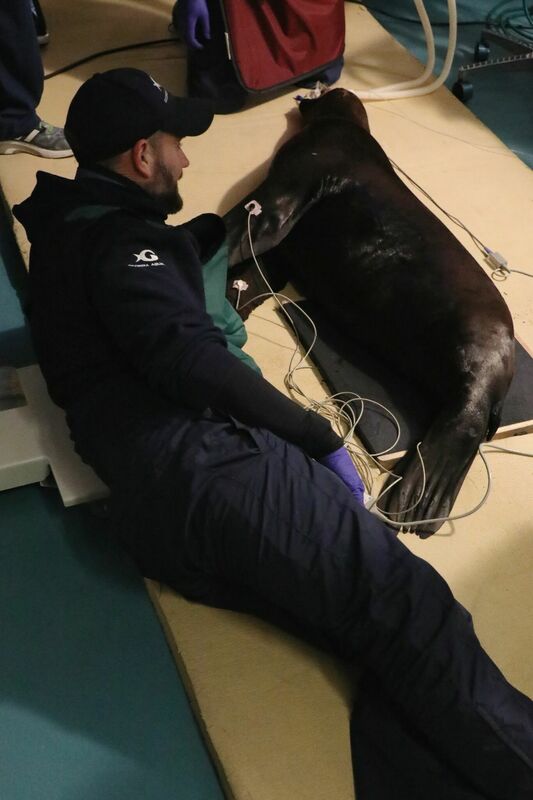 Director of animal training, pinnipeds, Will Elgar, lays next to Hunter to assist with his x-rays. Hunter underwent specialized eye surgery on August 31, 2017 to hopefully help some of the difficulties in his left eye. While under anesthesia, Hunter gets x-rays taken of his body before the surgery begins. 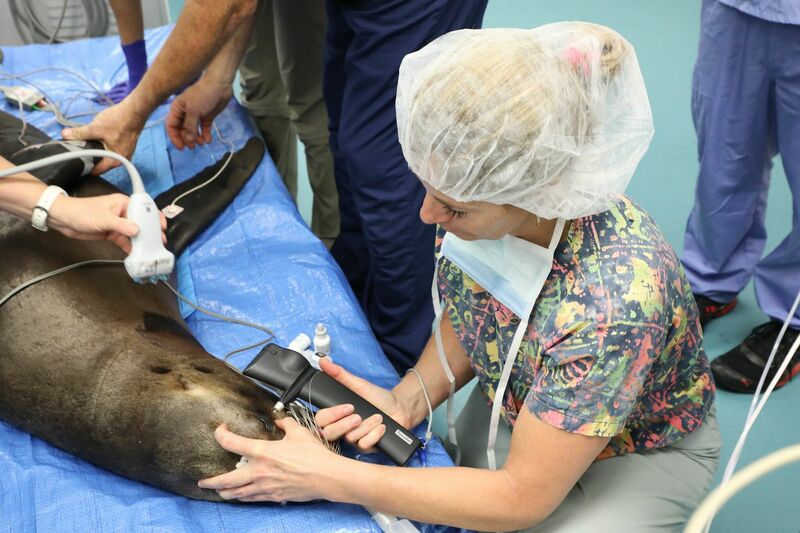 Dr. Carmen Colitz, a veterinary ophthalmologist who specializes in aquatic animals, takes a look at Hunter’s eyes and takes pressure measurements while he is under anesthesia. 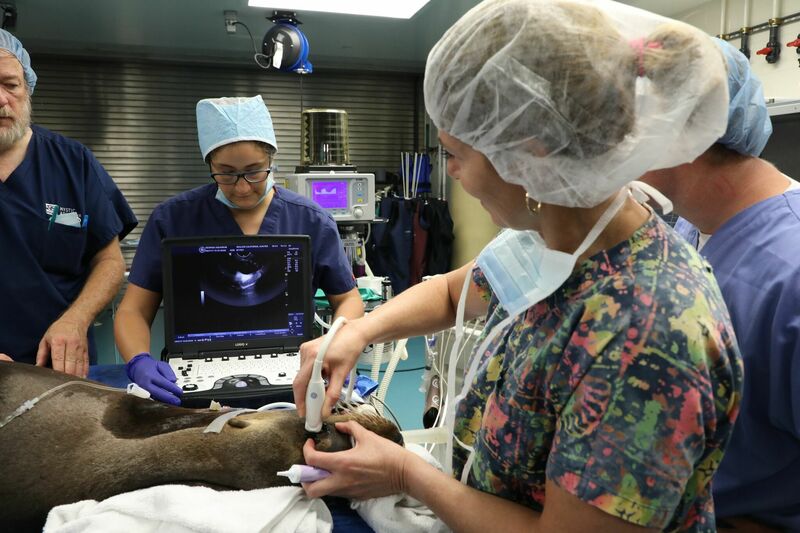 Dr. Carmen Colitz, a veterinary ophthalmologist who specializes in aquatic animals, takes an ultrasound of Hunter’s eye to get a closer, in-depth look. 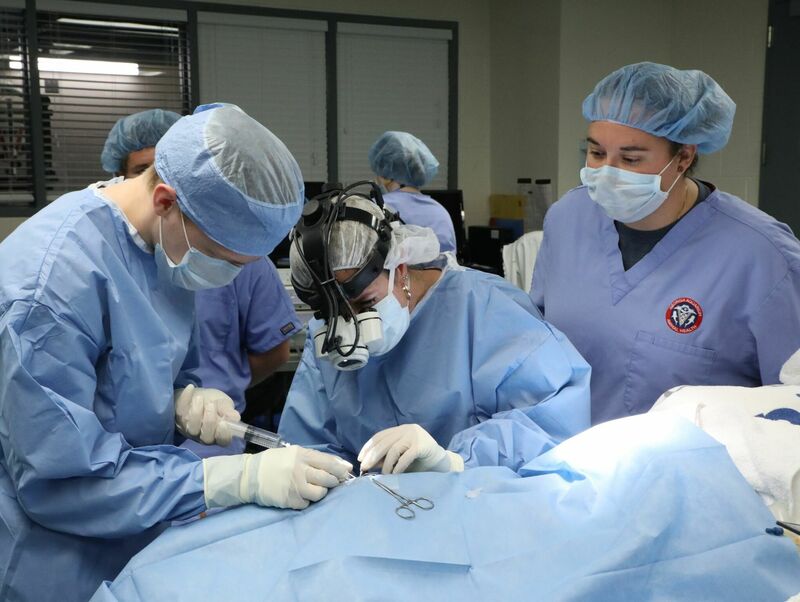 Hunter’s dedicated and expert animal care team looks on as Dr. Carmen Colitz, a veterinary ophthalmologist who specializes in aquatic animals, begins the surgery on his left eye. Hopefully, this surgery will help Hunter and some of the difficulties in his eye. 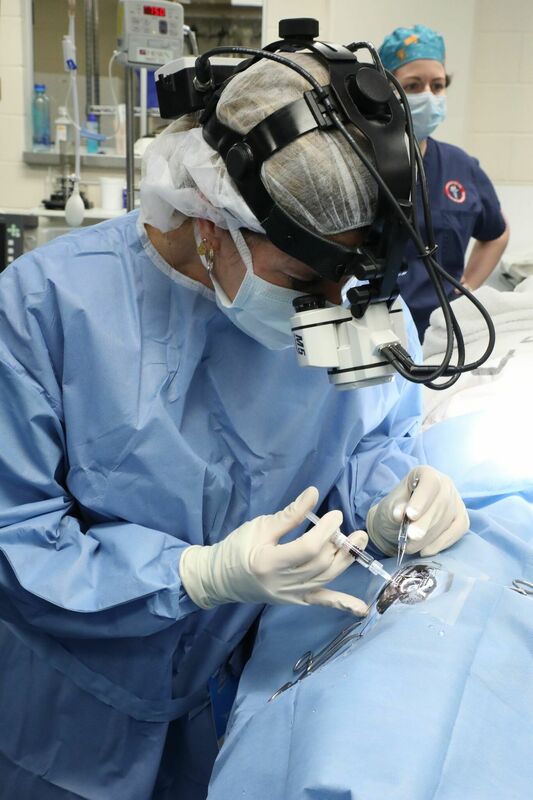 Dr. Carmen Colitz, a veterinary ophthalmologist who specializes in aquatic animals, during Hunter’s surgery on his left eye on August 31, 2017. Hopefully, this surgery will help the difficulties in his eye. 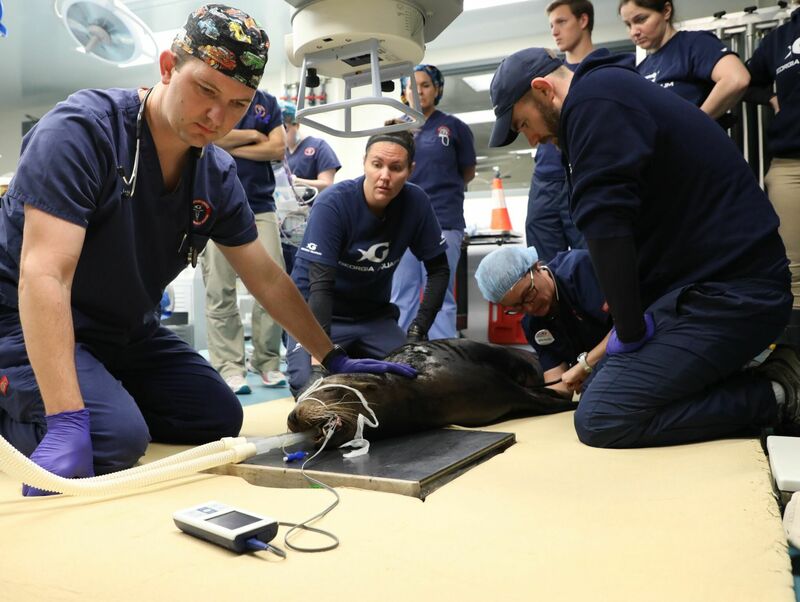 Dr. Carmen Colitz, a veterinary ophthalmologist who specializes in aquatic animals, during Hunter’s surgery as veterinary team members assist. 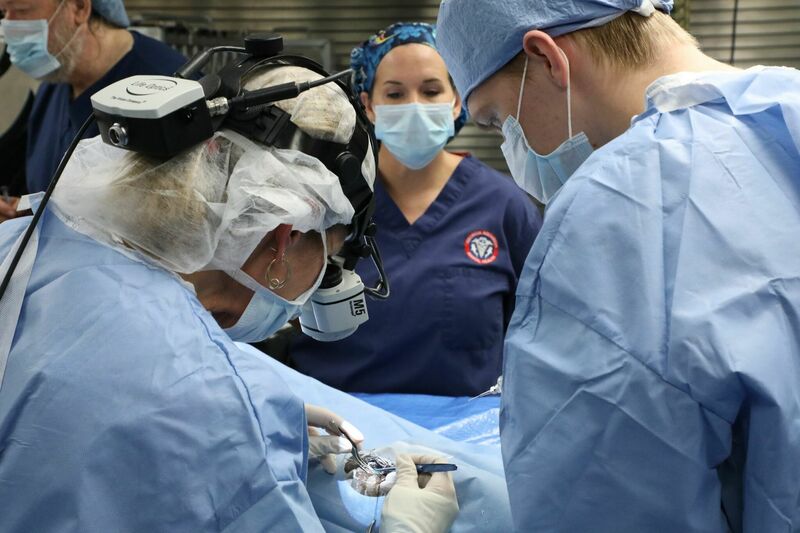 Dr. Tonya Clauss, senior director of animal health at Georgia Aquarium, watches Dr. Carmen Colitz, a veterinary ophthalmologist who specializes in aquatic animals, during Hunter’s eye surgery on August 31, 2017.